The list of companies to pull their advertisements during NBC Sports' show "Sharkhunters" just got a little bit longer. The latest brand to join the movement is Citrix, an American software company, which said in an email that "supporting the environment and our local ecosystems is important to our team as well as our corporate culture." A spokesperson noted that no future ads for the company will appear during "Shark Hunters." The company joins Allstate Insurance, Tripadvisor and Kingsford Charcoal, all of which have pulled their ads. 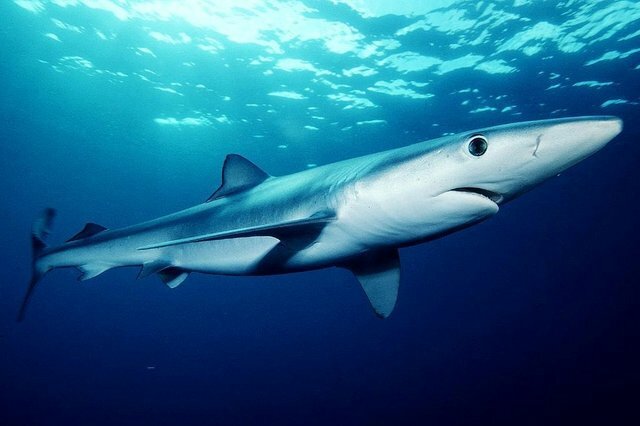 The show has incited a wave of backlash for featuring trophy fishermen who catch thresher, mako and porbeagle sharks - all of which are on the IUCN Red List as "vulnerable" - as well as blue sharks, which are considered near threatened. During the show, fishermen compete in contests to reel in the biggest shark for a $10,000 payout. While many contend that they tag some of the sharks, making their catches worthwhile, conservationists argue that they do far more harm than good. "The thing about these shows is that they target the animals that are already not doing well," Dr. Neil Hammerschlag, research scientist at the University of Miami's Rosenstiel School of Marine and Atmospheric Science, told The Dodo, adding that the compounded pressures of commercial overfishing, bycatch and other factors have contributed to a global decline in sharks over the past 50 years. Hammerschlag added it also matters which individual shark is being caught. For instance, sharks take a relatively long time to sexually mature - usually about ten years. Sharks also continue to grow their entire lives, and become more effective reproducers as they get older and larger. What's more, older fish tend to produce larger and healthier offspring. "So if you're catching a shark, it makes more of a big deal if you're catching one thats mature," he said. "These trophy shows target the biggest ones - meaning the mature, most reproductively active ones." Because the cash prize is awarded to the fisher with the biggest catch, the fishermen favor the most ecologically valuable individuals. To make matters worse, many species will either be injured or die after they are caught - then they're thrown back in search of a bigger catch. It depends on the species, because some are more resistant to being caught than others, but for many sharks, two hours of struggling on a fishing line will usually lead to death. So long as there are incentives to catch the largest, oldest, most fecund [reproductive] and fittest individuals within a population, recreational fishing pressure will continue to target these fish and likely exacerbate population declines. Conservationists are pointing to "Shark Hunters" as a perfect example of this problem. A petition on the site Change.org calling on NBC to cancel the show has already gained over 84,000 signatures. Both NBC and NBC Sports have not replied to repeated requests for comment.